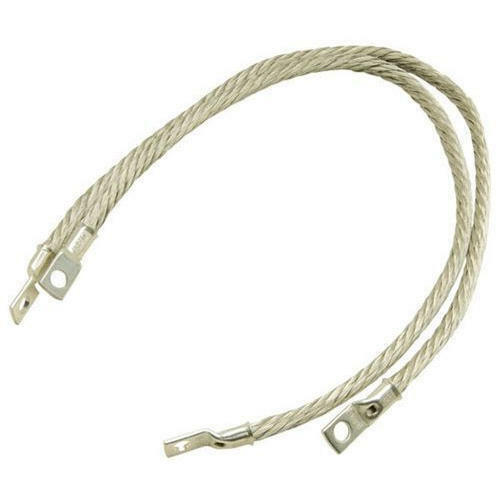 The earth braids and terminations are usually tin plated in order to prevent metal corrosion. Many times insulation is also done depending on the exact application and requirements.SIMCO has been effectively manufacturing these copper earthing jumpers. With the help of our highly skilled personnel, latest technologies and by using the raw material of utmost quality, we have been able to provide earthing jumpers to many organizations in the Oil&Gas and Chemical Industry.We can practically manufacture the braids of any length and cross-section area along with termination lugs and ferrules with hole dia as per customer’s requirements.Copper earthing jumper helps in passing the static current from source to earth, thus preventing the hazards caused by static electricity. Static electricity is nothing but an unbalanced electric charge within or on the surface of a material. The electric charge remains until it is able to get discharged by means of an electric current or electrical discharge. It is created whenever two surfaces contact and separate, and at least one of them has a higher resistance to electric current (and is, therefore, an electrical insulator). If proper measures are not taken then the sparks generated through static energy can lead to explosions and industrial fire. Hence, proper bonding or grounding needs to be ensured. Braided copper is the most preferred method for effective bonding as its a strong conductor.